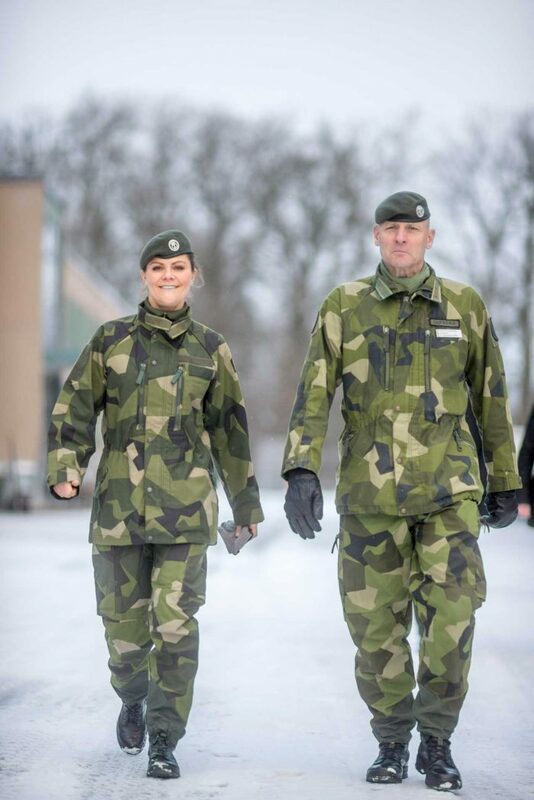 I'm not terribly familiar with the Swedish Royal Family. 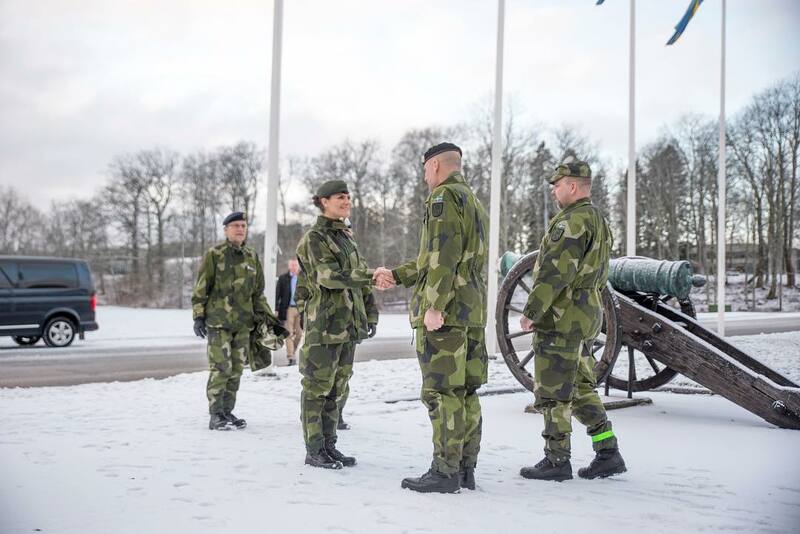 Did Victoria serve in the military? One programme on SVT is more popular than the others - Antikrundan. Lots of people sit on their couches every week when the new season starts this year, excited to watch the the antique experts value everything from flea market finds to heirlooms. And this year, when the programme celebrates 30 years, the season starts in a very special way. 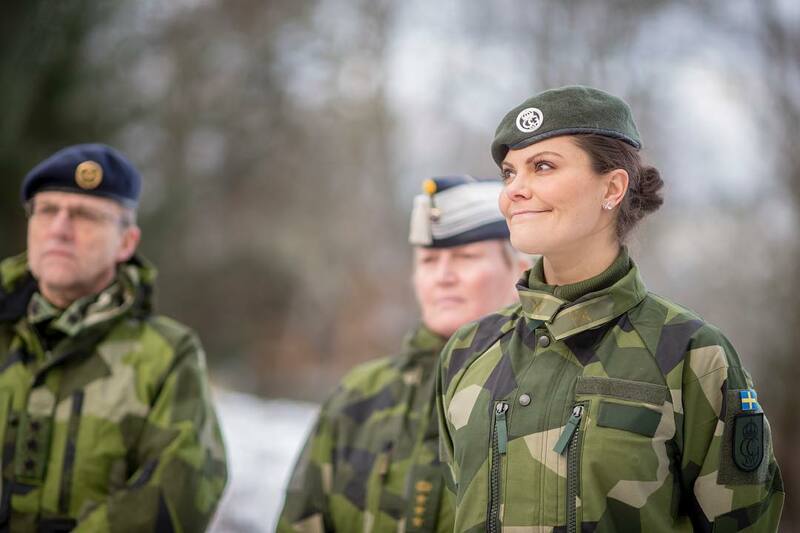 With a special guest, Crown Princess Victoria herself! 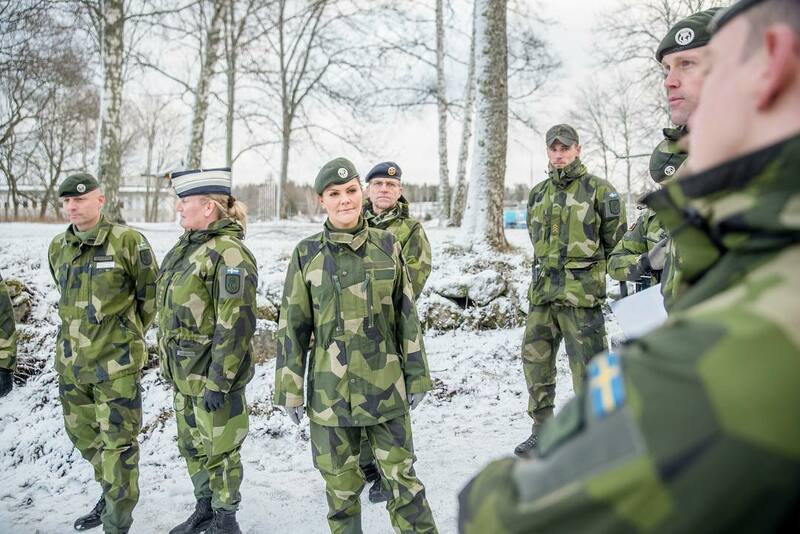 The Crown Princess participates in the second programme of the season, when Antikrundan was recorded in Haga Park last year. But no one is allowed to participate in Antikrundan without having something to value, not even a royal. 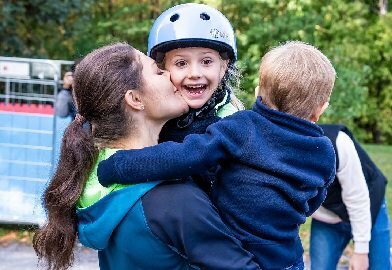 Therefore, Crown Princess Victoria brought with her two gifts that mean a lot to her. She meets the experts Knut Knutsson and Rickard Thunér in Gustav III's pavilion, close to her home Haga Palace. And Knut Knutsson is very nervous. But when the three of them meet, however, the atmosphere becomes relaxed and easy going. 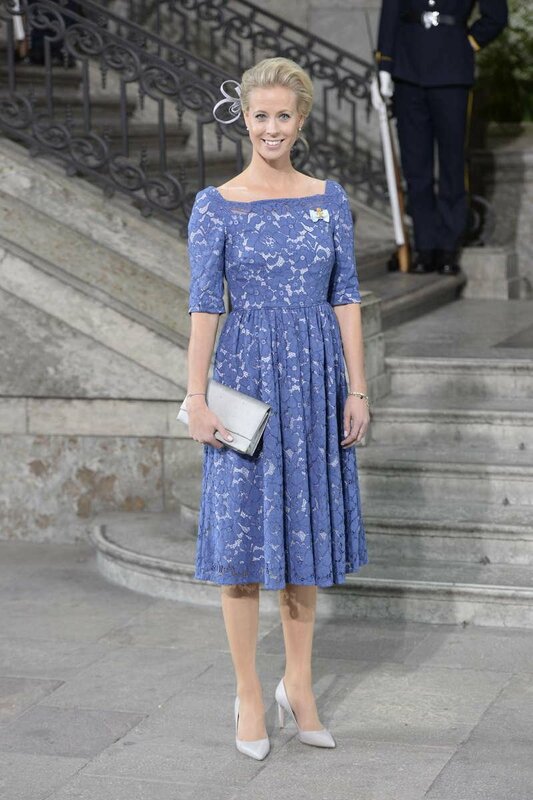 - Does the Crown Princess and her family watch Antikrundan? expert Richard asks. And Victoria's answer surprise the experts. - Yeah, I do! I think it's an incredibly wonderful programme and you always learn a lot, Victoria responds quickly and laughingly. 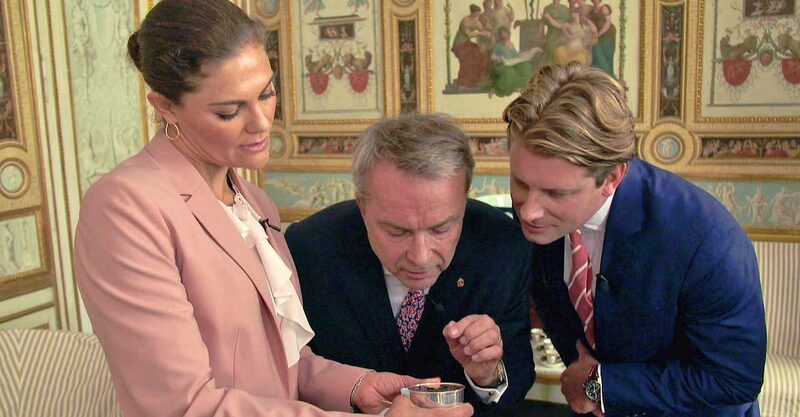 In the programme we see Crown Princess Victoria show off a very special gift. A silver box she received from Queen Ingrid of Denmark on her 18th birthday. Ingrid received the silver box as a gift from Prince Gustaf Adolf and Princess Sibylla after she helped them decorate Haga Palace. Engraved in the lid is the text "To Ingrid from Bylla and Edmund." When Victoria was 18 years old and got the gift, nobody knew that Victoria would move into Haga Palace once in the future. The Crown Princess' story clearly touches the two experts Knut and Rickard, who carefully take the box to take a look at it. Love that she wore the paper crown a kid gave her. She's just so delightful! So sweet her interaction with the kids and indeed wearing that paper tiara / crown!! She is so sweet and down to earth. I bet that kid loved it when she put on the crown that he made. The things I have to do/wear to be queen. That's why, IMO, she's one of the few Crown Prince/ss worthy to be one. The head of Victoria's household, court marshal Karolin A. Johansson, is leaving her post after seven years at the court.